Find local Alabama Rabbit Breeders using our rabbit breeders directory or add your alabama rabbitry to our list today. Proudly helping you connect with rabbit breeders in the great state of Alabama and find rabbits for sale. This list is part of our state rabbit breeders index. I am a ARBA Registered rabbitry and member. In my barn I raise Mini Rex I strive to improve the quality of the breed one rabbit at a time. I am located just south of Birmingham Alabama. Transport of rabbits can be arranged (at times) into other parts of Alabama, Mississippi, Louisiana. For Sale New Zealand White We raise meat rabbits for commercial breeding and processing plants. We supply breeder rabbits for beginning farmers. We began our business as a result for friendly, kid safe rabbits for our petting zoo. We are only raising pure bred rabbits that are handled daily. Our rabbits live inside the barn with individual fans (to help ward off the Alabama heat). 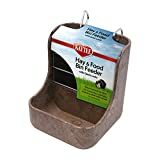 They are fed premium feed with Timothy hay on a daily bases. They also enjoy carrots every other day. Each rabbit is held and petted each and everyday. Our stock now comes from 3 states and will soon be including more from 2 additional states. We are dedicated to breeding health, friendly, stock. We have pedigreed show, and pet quality English Angora, and Jersey Wooly’s. This is a small rabbitry focusing on quality show and pet rabbits, located in North Alabama. We love raising rabbits, they are neat to mess with. They are in cages and are tame rabbits. Right now we have one buck and 6 does and will have more soon. Our rabbitry started out as a way for our grand daughter to gain experience and confidence in a project. Harlequin and Dutch is where we began and where our main focus is still concentrated. The reason we like them so well is due to their gentleness and ease of handling. We gradually expanded to include lops, rex and satins to our herd. My husband raises Californians and New Zealands for meat production and he shows his mini lops. Rabbits are a great way for a family to engage in a common interest as well as have pets to love and care for. We are a small Rabbitry in South Alabama! Currently raising beautiful Rhinelanders and Pedigreed Netherland Dwarf. Contact for updated pictures of our stock! Rocky Road Rabbitry is a small rabbitry just outside of Barrhead Alberta, focusing on raising good quality meat rabbits, while also breeding for temperament, good looks and fur. We’ve got a variety of rabbit breeds from new zealand whites and silver foxes, to flemish giant, harlequin, california, satin and cinnamon crosses. Our rabbits are handled often, and raised with lots of affection and human interaction. We breed year round, so we almost always have rabbits of any age and size, that would be great for pets, meat, or breeding stock. We aim to keep a variety of rabbit breeds to mix and breed based on our favourite colours, qualities and characteristics. We are relatively new to raising rabbits, and are increasing our herd based on the demand for happy, healthy and good quality rabbits. We are based in Victoria Australia and breed quality Dwarf Lop rabbits. We focus on temperament, health and the shape of our rabbits. Prices range from $40 – $50. We are a small rabbitry mainly providing meat rabbits for the family. We do on occasion have rabbits available for breeding stock and pets. The American Breed is a endangered heritage breed. They have proved to be sweet mothers with large litters and offspring that grow well on supplemental forage from the garden. We have lots of babies born here handle the day they are born so babies always are friendly. also so many Colours to pick from. Babies do not leave here until 6 weeks old. all babies that leave here are healthy and great. A small rabbitry based in Calgary Alberta, breeding pedigreed Netherland dwarfs. Our focus is on the shaded varieties. Our bunnies are handled from birth and treated like pet of the family and come with great personalities. Bred for quality and temperament. All rabbits are raised and cared for at our home base in chatom Alabama. Rabbits are use to humans due to having one on one time every day after 1 week of age. I am selling some beautiful lop lion head baby rabbits, they are currently just turning 8 weeks old. I have a mix of sexes, they are coloured black and some are tortoise shell. They have been brought up in a family environment, and are happy to handled. I currently have two does and one buck that I breed as a meat substitute for my family. This breed is a amazingly soft rollback fur rabbit that is very well mannered. I do not plan on supplying the masses currently but I enjoy this breed and would like to make them available to anyone who wants to experiment with the breed. This breed make a great pet, show, or meat rabbit. If you are interested the best way to get a hold of me is email. My husband and I just got into breeding rabbits and trying to get our name out there. We live out in the country and breed several different varieties of rabbits. Breeding rabbits is something we love and enjoy doing. We are both animal lovers and take great care of them. We are hoping to expand by adding new breeds. Thanks so much. I am a very small breeder with only 20-30 rabbits/kits at a time. I take much pride in the way things run in my breeding program and put a lot of hard work, sweet, and tears into my rabbitry. I sell all my babies on a spay/neuter/return agreement contact (unless breeding rights are discussed however, return is still included) and ask lots of questions prior to sell. They may be just rabbits to some but these are my babies I want the very best for them. We raise meat rabbits in Danville Al where the rabbit market is just starting to take root. Right now we only have Californians and New Zealands but are about to get into Tans as well as we try to promote show rabbits in the mainstream 4-H and FFA in this area. Feel free to contact us at 256-612-0387 anytime. Hope to see yall soon. We need a well behaved mini lop rabbit that is spayed or neutered and loves to be held and has a very curious and adventurous personality. Two buildings, One for Show stock and one for Commercial Production. Getting re-started in Retirement. Last rabbitry in Kentucky in the 80’s. Heading toward registered NZ Reds, NZ Broken and Palominos for show stock. We mainly raise meat rabbits but also enjoy raising some to sell for pets. Small 6 hole rabbity with focus on pet and show quality English lops and occasional mini Rex. Located in Earlton , Ontario Canada. The Flemish we raise are healthy, pure, tame, and loved. From a few days after birth they are handled and cared for by the family to insure tameness. We have several colors to choose from. These gentle giants are a must see. Please call for more information and thanks for the interest. We have hollands contact us to see what we have!!! I have been raising rabbits for many years. My main focus is on my mini Rex and standard Rex. I breed for pets, fur and meat. No shipping. Can deliver to winnipeg manitoba on occasion. We only sell our rabbits to people who want them for pets. We have a large variety of mixed breed rabbits of all colors. Our rabbits are not kept in cages. We have a large fenced in yard for them so that they can enjoy the outdoors. We have over 100 rabbits to enjoy. We currently breed Mini Rex in blue and blue otter but will be introducing black and black otter aswell. We are located in Ontario, Canada an hour west of Ottawa. We have male and female, adult to new born. Small Rabbitry specializing in pedigreed American Blues and New Zealand’s. We are an ARBA member. We raise a few different rabbit breeds for keeping as pets, meat purpose and also pelts. Small family owned rabbitry located just north of Richmond. We are currently working on dilute colors, including blue, lilac, opal, lynx, and cream. We do however have torts,black,chestnuts and harlequin as well. We strive on producing healthy rabbits with amazing personalities. ARBA member since 2013. Please visit us on facebook at Emerson’s Quiet Woods Rabbitry. Raising pedigreed mini rex in selfs and otters and silver fox in black and blue near Grande Prairie, Alberta. Registered ARBA breeder of 13 years. Attend shows in Western US and Western Canada. Hello! My name is Tobin and welcome to my rabbitry located in Hamilton, Ontario. I have a small herd of Netherland Dwarves with 4 does and one beautiful BEW buck named Olaf. I am a member of a 4-H rabbit club located in Flamborough. My bunnies are sold mostly as pets but also as show rabbits. They are handled daily as I come from a family with four children who love to cuddle baby rabbits. Crossroads Rabbitry LLC is a large rabbitry and was founded in 2009. We specialize in purebred New Zealand White rabbits for Breeder Stock and Commercial Production. Our goal is to produce the highest quality rabbits for meat purposes and supply other growers with excellent stock. We only hold back stock from our does if: they avg. large litters, have good mothering instincts, have good milk production, make well developed nests, raise out high percentages and if they breed easily. Bucks are held back for their litter size and stamina. Large orders can be filled. Sorry, we do not deliver any rabbits. Hi, I currently have kits available all are broken black tort. They were born 4-30-2014 and will be ready 6-30-2014 are kits are $25 each. I also have a doe due 5-8 so what ever color ask and I may have some in her litter. We are a family run, home based Rabbitry. Are main focus is Velveteen Lop’s and Teddy Bear Lion Heads. We strive to breed premium pets and high quality show animals with great loving temperament. We specialize in raising Giant Angora’s for both Shows and for Fiber. Our rabbits are full size meeting the specification set our by ARBA. Florida White, Flemish Giant rabbit. Rex rabbit. Mini Rex rabbit. American rabbit. Angora rabbit. Beveren rabbit. Continental Giant rabbit. Florida white rabbit. New Zealand rabbit. Argente rabbit. British Giant rabbit. Dutch rabbit. Carmagnola Grey rabbit. Tri coloured dutch rabbit. Harlequin rabbit. Holland lop rabbit. I have beautiful pedigreed English angora rabbits forsale. I raise my angoras for show and fiber . We are a small backyard rabbitry located just outside of Kamloops, BC. We raise rabbits for pets, pelts and meat. All of our kits are handled when young, and the parents have wonderful personalities. We believe in raising animals as close to natural as possible, and our rabbits have free range time, large enclosures and eat plenty of greens in addition to a high protein pellet and high quality hay diet. We currently have a breeding pair of Californians and a doe of a mixed breed (Champagne D’Argent/Satin), as well as kits of various ages. We would like to expand into American Blues and Silver Foxes. Family run rabbitry focusing on meat and wool production. I don’t know the name of the breed. But the pair is white coloured. I want to sell the pair of my rabbits to an owner who love pets because i love them very much. I am just unable to keep them because i don’t stay at home and so can’t provide them with things on time. Small growing rabbitry specializing in New Zealand Blacks/Broken. Looking to add Reds as well. Also have Californian/New Zealand mix. I have both pedigree, and non pedigree rabbits. The Rhinelander is a beautiful totally non aggressive rare breed hare type rabbit. They are tri-colored and known as “the calico of the fancy”. See them at the Armstrong Fair. Hey my name is tony oliver and i live in lincoln al we help our grandson with rabbits for a school project. The project is done but we enjoy raising them. Its now a fun family project. 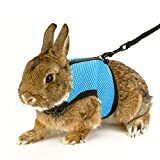 My wife makes harnesses to walk the rabbits with. And since we have lion head rabbits they need to be brushed regularly. We have Flemish gaint and cinnamon mix and lion head mix. We have at this time 26 babies and 5 females and 2 males. Pedigreed and non pedigreed bunnies available. We are a very small rabbitry, only raising Champagne D’ Argents. We will have a litter ready to go at the end of April, 2015. Please contact us for more information and/or pictures. I raise several different breeds of bunnies, including Flemish Giant, English Angora, MiniRex, Dwarf, and Lionhead. Pictures are available of breeders and current litters. We are a small rabbitry located in the Mississauga/Toronto/Brampton area for your conveinence, just off highway 427 and Finch. As a member of the ARBA, DRCBA, & CRBA our rabbits are amazing quality (pet and show), and are well socialized with both large and small dogs, cavies, cats, and especially the VACUUM CLEANER & children. Much PRIDE is taken in our CLEAN and HEALTHY environment that these bunnies come from for you! To reserve a bunny, a non refundable deposit of half the total price is required. Once a bunny has been purchased a refund won’t be honoured, although in some circumstances we may take the bunny back and possibly re home. Our common breeds are: Double mane Lionhead (Dwarf), Netherland Dwarfs, and Holland Lops, Fuzzy Lops. Breeding rabbits for food, fur and fancy and pets too. As I have a very limited breeding schedule stock and available breeds of rabbits are always rotating. Please see my website for rabbits currently avaialble for new homes. My primary reason for raising rabbits is just because I like them. My Flemish, Rex and Beverens are raised in colonies of 8 to 10 does in large pens bedded with straw. Most of these rabbits have never seen the inside of a cage. Small breeder with only a few young from time to time. We offer male and females new Zealand meat rabbits. Rabbits available for breeding stock are mostly New Zealand/Flemish Giant crosses, feel free to email me for current options and availability. I have chocolate, blue, black, castor, opal, lynx, red, tri, broken, and otter. All different colors good fibre on my rabbits. Solids and brokens. A baby bunny that is young. And Blond, brown, or white with blond/brown spots. Also preferably female. Also a little baby bunny. Holland Lop, Lionheads (specializing in brokens, reds, orange, tris), Holland Lops in tris, orange, red, harlies and broken black. I also raise misc. Located in Salamanca, NY/southwestern NY. Lionheads, Holland Lops and misc. for rabbit jumping. I hope to raise many finished jumpers for Youth. I also do transporting to/from major shows and regional shows. We are a family raising and showing Holland Lops. Our 2 youngest sons, ages 10 and 5 are showing them in youth. Our herd is small so we can spend lots of time with them. They live in our school room in spacious hutches and are litter trained. We are breeding for showing and to improve the Holland Lop breed. We do have pet Hollands available to loving homes as well as 4-H and FFA bunnies from time to time. Please follow us on Facebook @woodscovebunnybarn or Instagram at woodscovebunnybarn to see frequent uodates and to see all the sweet bunnies in our lives. Feel free to contact us if you need a Holland Lop in your life! We are family-owned, family-operated, Christian family that has a small rabbit, poultry and duck farm. We offer a large variety of rabbits, from Giants to Dwarfs, meat to pets, long hair to short. Please visit our FB page at https://www.facebook.com/GodsLilCreations. We are a small rabbitry raising high quality, pure bred New Zealand Whites. New Zealands are excellent meat rabbits and does or bucks from this particular line will be an excellent addition to any herd managed by serious breeders. We currently have 3 does and 4 bucks born 11/13/13 available. All are healthy, high quality rabbits born from an excellent doe, bred from a line of good mothers and a buck bred from high performance bucks. We have had 100% success at each breeding using the dame and sire of this litter and have every reason to believe their offspring will carry on their high performance traits. Does are $20. Bucks are $25. We strive to breed top quality ARBA standard rabbits. Breeding for over 25 years, our Hollands, Netherlands and Jersey Woolies have been bred for type, temperament and good health. We strive for quality not quantity. Breeding purebred Flemish Giants in Northern Ontario. 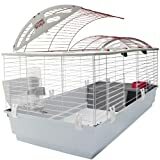 Docile, hardy rabbits and kits in various colours for pets, breeding or meat. All of our kits are handled daily, and well socialized with children, ducks and dogs~ making them friendly and easy to handle (a plus in a 20 lb rabbit!). Our breeding stock and older kits are pastured, and fed a varied, healthy diet. Inquire about available babies and ready to breed. I breed show quality mini lops along with rescuing any rabbits in need! I never turn away a rabbit and will take in any rabbits. We are a small Rabbitry with one pair of pedigree Netherland Dwarfs and a non pedigreed Holland Lop. We are hoping to expand this year! We breed Netherland Dwarfs for show, pets, and brood! Our buck has won two legs and hopefully he can pass that on to his offspring. We breed Holland Lops for pets only! Pedigree Flemish Giants and Flemish Mixes (meat rabbits) that are raised on the Sunshine Coast of British Columbia Canada. Bear Creek Rabbitry is a backyard rabbitry created out of necessity due to the high cost of living in the Lower Mainland. We raise New Zealand meat rabbits (White, Black and Broken) for our allergic dog and personal use. We always give our newborns a chance at being a pet or becoming a breeder for another backyard rabbitry so feel free to email us for an update on availability. We would like to become members with ARBA and show at 4-H clubs as soon as we get the details on how to do that. New Zealand white meat rabbits ready for sale @ 8-12 weeks old, periodically throughout the year. Average “dressed-out” weight 3.5 lbs @ 10 weeks. Raised entirely on Sherwood Forest Natural Rabbit Food, made w/ alfalfa & timothy hay, no soy, no corn, no wheat. Complete balanced food w/ no need to add hay or supplements. Very healthy rabbits, no antibiotics, no hormones ever used. Raised w/ love in healthy environment. No behavior problems and easy to socialize if wanted. VERY tender white meat if purchased for consumption. We only sell live bunnies. All of my rabbits are all in wire cages and have an automatic watering system. I use 18% Co-Op feed. My does have 8-9 babies when they deliver. I raise them for meat and they weigh 4-5 lbs. at 8 weeks. Have all different colors from cross breeding California’s new zelands and just now starting Flemish giant crosses. Pedigree Silver Fox kits available now. With and without pedigree, does and bucks, handled daily. Proven pedigreed doe may be available also, throws beautiful babies and is a great mom. Show lines on all. Discounts available on multiples and for 4-H. Can send pics via e-mail. Here at T b M Rabbits we breed your meat rabbits. We are a small rabbitry located in Tuscaloosa al. I am a member of the A.R.B.A. right now we have meat grade and pet quality new Zealand whites and soon will have pedigreed new Zealand whites as well with a few more breeds. our bunnies mainly sell for pets as my children handle them daily. We here at Hop~Along~Rabbitry hand raise our rabbits from birth within our home. They are well socialized with both kids and our dogs. This helps make them less anxious when they leave to join their forever families. We breed for quality not quantity! On occasion we do have Thrianta’s and American tan tan kits. We have Holland lops, Netherlands, lionheads and Mini Rex’s. We encourage you to research about the breeds, know the breed of rabbit that fits into your family! Please know, they are a 5-10 year commitment, even longer! They MUST have daily exercise outside of their cages, after all, would you want to be caged 24/7? They are $40.00 as pets, we sell only pets. We aren’t involved in shows, but we have produced show quality bunnies who have won best in breed and show! Makes us proud! Some of our bunnies are pedigree, mostly lionheads and Holland lops. We are located in Welland, Ontario 20 minutes form beautiful Niagara Falls. Please by all means, feel free to contact us. Thank you and have a GREAT day!!! ARBA member LOVESA02. I acquired a herd of very good winning breeding stock from Hunters Acres. The stock was imported from the US. I just started breeding for show and meat. So far the offspring are doing very well. They are currently on the livestock conservancy watch list. Giant Chinchillas make a very good meat rabbit with good fur qualities. They are also a very docile and friendly breed. We raise New Zealand,Giant Flemish and Californian Rabbits mostly for the meat market although we do have a selection at times of rabbits that are raised for the pet market. We try our best to keep both markets happy our rabbits are of the highest quality and raised on an all natural diet. We are raising rabbits mostly for meat, but we do sell some for pets. We hope to try breeding purebred Holland Lops at some point, depending on how the market appears in that area. We sell government-inspected meat. We cannot insure organic meat, but we can guarantee that our rabbits are happy. We offer you the privilege of picking your own doe and buck, and we will have the baby rabbits ready at a said and agreed time. Currently we own: 1 Holland Lop doe, 1 Rex/Holland Lop doe, 2 Angora cross does, 1 Flemish Giant doe, 1 Rex/Flemish Giant/Holland Lop doe, 1 Angora/Flemish Giant doe, 1 New Zealand cross sire, 1 Flemish Giant sire, and 1 New Zealand sire. We began raising rabbits in March of 2016, and have had few amounts of fatalities. Our rabbits are fed with a combination of fresh grass, grass hay, and 16-18% pellets. If you don’t find the rabbits that you are searching for in the state of Alabama, I suggest that you check out the breeders directories that we have assembled for the bordering states of Florida, Georgia, Mississippi and Tennessee. Locate rabbits for sale in Birmingham, Huntsville, Mobile, Montgomery, Tuscaloosa and many other cities across the state of Alabama using our classifieds. Be sure to check out raising rabbits article and resource page for information about Raising Rabbits in Alabama.